Want to make brownies with a twist? Check out this recipe! 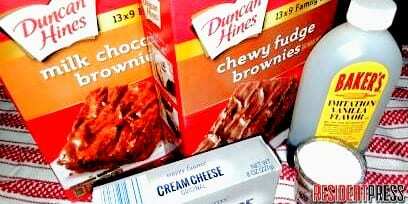 My go-to dessert to cook if I have no time to prepare something for an event or special dinner is brownies! Let’s face it! Brownies are irresistible and a crowd favorite no matter the age. However, want to know a trick to making your brownies with a twist? It’s super easy and makes them even more delicious! All you need extra is one block of cream cheese, 2 tablespoons of sugar and 1 tablespoon of vanilla extract. With these simple extras, you can make your brownies with a twist. In a large bowl, mix the brownie ingredients and stir well. Set aside the brownie mixture for now. In another small bowl, place the cream cheese. You will need to soften the cream cheese. 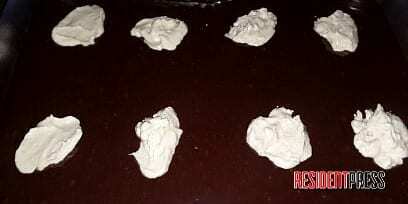 Place in the microwave for about 1 minute and 20 seconds until the cream cheese is completely softened. Times may vary depending on the voltage of your microwave. Do not over cook the cream cheese, so keep a close eye while cooking it. I usually cook for about 30 seconds at a time, and then check on it to see if it is ready to be removed and softened. Once the cream cheese is soften, add the sugar and stir. Now, add the vanilla. Stir until completely dissolved. 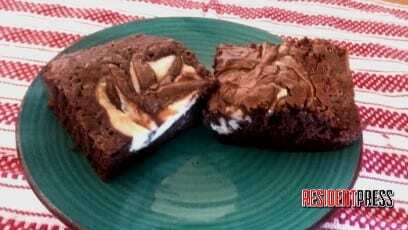 Brownies with dollops of cream cheese! Next, spread the brownie mixture into a large greased cake pan, and then take a spoon and plop dollops of the cream cheese mixture in random places on top of the brownie mixture. 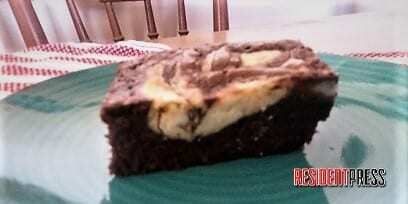 Then, take a butter knife and swirl the cream cheese into the brownie mix. Do not over swirl, or you will not be able to distinguish the two tastes within your brownie. Brownies with the swirl and ready for the oven! 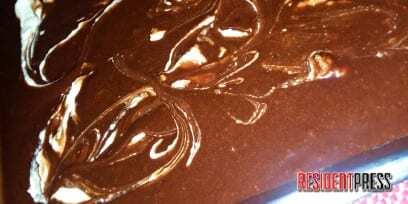 Now, bake the Brownies with a Twist for approximately 35 minutes. Times may vary depending on the type of oven. I would begin checking them at 25 minutes to see if they are fully cooked. Side note: This recipe is brownies for a crowd! You can certainly half all the ingredients to make a smaller pan. Extra: If you wanted to spice up your Brownies with a Twist, you could add a tablespoon of cinnamon to the cream cheese mixture. Stir this in, and then dollop on top of the brownie mixture. Wouldn’t this be yummy with a side dish of vanilla ice cream?